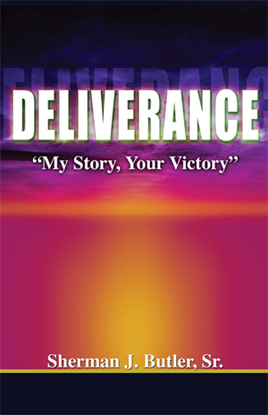 Deliverance: “My Story, Your Victory ,” is an astonishing examination on the operation of stronghold and demonic spirits that attach themselves through sexual activity and lust. Dispelling the myths of “innocent” childhood exploration, Pastor Sherman J. Butler, shares his own nightmarish experiences that kept him bound from childhood to adulthood. This book is a revealing no-holds-barred study on how demons and ungodly soul-ties, build strongholds that keeps people bound. From this amazing book, you’ll learn spiritual warfare tactics to defeat the enemy as well as, learning how to use God’s power to remain free for life. You don’t have to be a victim to demons and dysfunctions any longer, let Pastor Butler’s story of deliverance be the pathway to your victory!